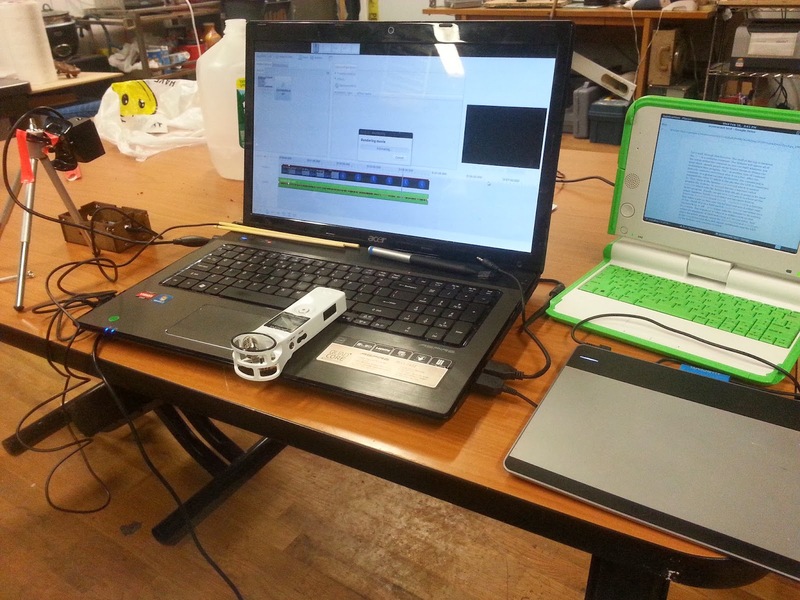 Today I’m here to talk about screencasting a hardware course in Ubuntu using tools that are free (no-cost) to use. I had some issues that were cinnamon-on-ubuntu specific, and others I’m still not sure the cause of, but overall I’m pretty pleased with how things turned out. This is because I’m running cinnamon and can’t get the display to change resolutions unless I log in as gnome-classic instead. You need gnome classic WITH effects for Ardesia to work, by the way. 2) Open a terminal (alt-f2, gnome-terminal). Run gnome-control-center. Click on "Displays". Lower the resolution to 1280x720, which is standard HD resolution (youtube uses 16:9). Then go to Window Management > Application Switcher > Enable. Okay now I also have ultra-fancy alt-tab swoosh effects too, but at least I have alt-tab. However, when I try to screencast in Ardesia, the audio (whether I use the internal mic, or the zoom H1 as a USB mic) is unusably choppy. 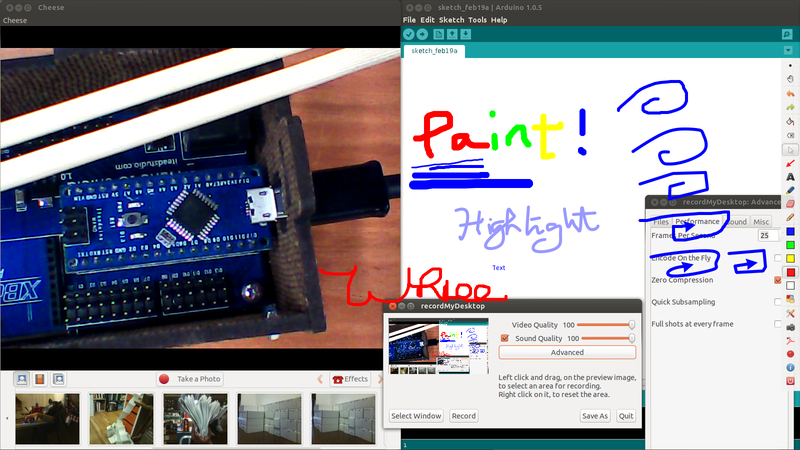 Thus, we use yet-another-application for the actual screencasting! This had a bit of a learning curve for me. There is a tray icon that shows or hides the main window, and when you hit “Record” the main window goes away automatically. It doesn’t save the file as anything usable at first, when you stop recording it begins encoding and then saves as an OGV file in the directory where you selected in the “Save As” dialog in the main window. Also, since we have a stereo mic with the Zoom H1, I went to advanced settings (upped the frame rate to 25 fps as well) and increased it to 2 audio channels. I don't know if this actually affected the output, but presumably it does. Officially youtube doesn’t support ogv, but I haven’t had issues with uploading the OGV files this application created. I used a webcam connected to Cheese and then resized cheese until the lower toolbar disappeared. I had a laptop camera as well. 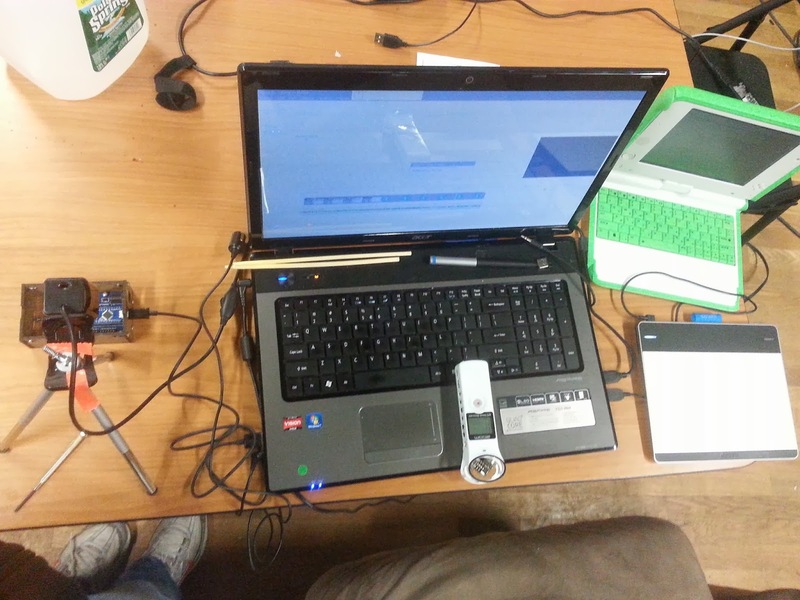 To choose the external webcam instead I simply went to Cheese > Preferences > Device and chose "USB2.0 Camera /dev/video0" instead of "1.3M HD Webcam /dev/video1". 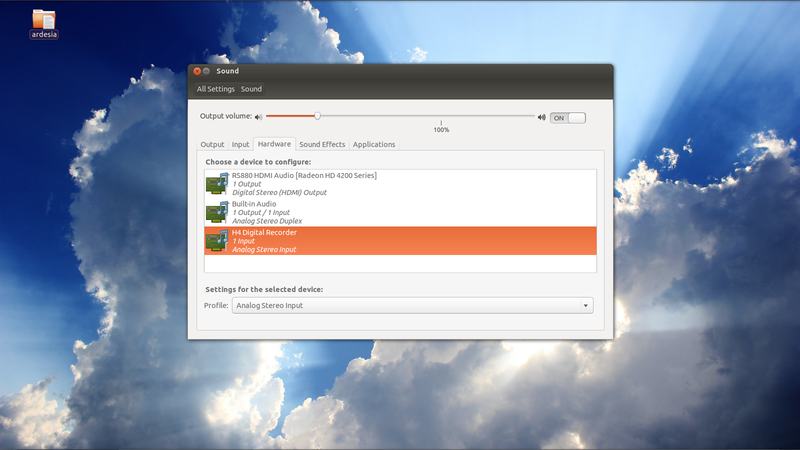 gnome-control-center > Sound (or “Sound Settings…” under the volume tray icon in the gnome panel). Under “Hardware” you should see “H4 Digital Recorder”. I set it to “Input” only (instead of duplex) to be safe. Then, under “Input”, you should see “H4 Digital Recorder Analog Stereo.” If you don’t see it in “Input”, but it shows up in “Hardware”, try rebooting your computer -- that did the trick for me. Say like me you initially didn’t figure on using yet another application to get non-choppy audio simultaneously recorded with the video screencast, and instead have a .wav file from your zoom recorder and a .ogv file from your screencasting tool. How do you sync up the audio and video files appropriately? PiTiVi was sad for me. I liked pitivi, because it displays the audio waveform, which is useful. However, the video preview was really choppy (unusable for syncing purposes) even when I selected “video thumbnail 1/100 sec” and the export didn’t work. The export settings are pretty self-explanatory. For now, I’ve settled on using “Device> AppleTV” as the settings I use. “Web >Youtube-HD” probably also works. When I tried manually selecting “H264” and “AAC” audio like youtube recommends, though, OpenShot gave me a .h264 file that youtube grudgingly accepted and converted for me (but I couldn’t open in VLC or anything locally). So… just stick with the “simple” export settings and everything is great. Use ffmpeg or avconv to convert the OGV file into AVI or mp4 and then import into OpenShot. Then open the AVI file into OpenShot, along with the WAV audio file, drag-and-drop to sync the files, and then hit export. 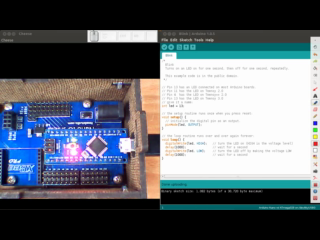 For an example of the output, see http://www.youtube.com/watch?v=8ZgO082rD2g. It's a bit fuzzy, probably in part because I recorded it in 4:3 (1024x768) instead of 16:9 which it was converted to (1280x720). But the text is mostly legible. [3.27.15] Dell 3007 Repair - A quick 'upgrade' of a dell 3007 monitor to address power supply brownout due to thermal loading.